Engine Timing Tool Kit for BMW B38/B46/B48 - ZR-36ETTSB93 - ZIMBER TOOLS. BMW: I8 (14-17), 116i F20/21 (15-17), 216i F45 (14-17), 216i F46 Gran Tourer (15-17), 218i Coupe F22 (15-17), 220i F45 (14-17), 220i F46 Gran Tourer (15-17), 225i F45 (14-7), 18 F30/31 (15-17), 330i F30/31 (15-17), x1 F48 (15-17). Petrol Engine Twin Camshaft Setting/Locking Tool Kits BMW MINI. CITROEN. PEUGEOT - ZIMBER-TOOLS. 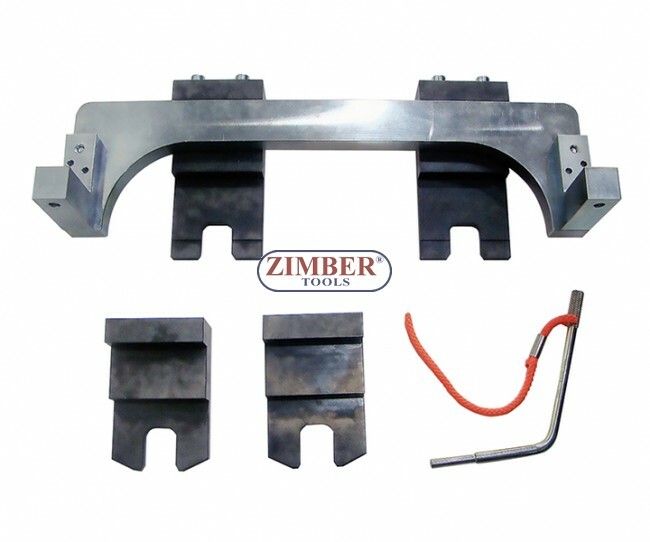 Petrol Engine Twin Camshaft Setting/Locking Tool Set for BMW (N40/N45/N45T) - ZIMBER-TOOLS. Engine Timing Tool Set for BMW diesel engines M41, M51, M47 TU - M47 TU / T2, M57 / TU / T2: 2.0l / 3.0l ; year 1998 - 2008, ZR-36ETTSB04 - ZIMBER-TOOLS. Engine Camshaft Alignment Timing Locking Tool BMW 2.0 3.0 Diesel M47 M57 (ZT-04172) - SMANN TOOLS. Petrol Engine Twin Camshaft Setting/Locking Tool Kit for BMW N40, N45 B16, N45T. (ZT-04538) - SMANN TOOLS. Engine Double Vanos Camshaft Alignment Tool Set Kit Tools For BMW - M52TU M54 M56. ZT-05193- SMANN TOOLS. Alignment Camshaft Timing Master Tool Kit Valve & VANOS Timing Tool BMW - N62, N73 - ZR-36ETTSB38 - ZIMBER TOOLS. Timing tool set for BMW M52, M54, M56 - SMANN TOOLS. Timing Tool-BMW N51, N52 (2.3I 2.5I,2.8 I 3.0I,3.5I ) ZR-41PETTSB0601 - ZIMBER TOOLS. BMW Crankshaft Pulley Holding for BMW 6 cylinder engines M52TU / M54 / M56 - ZR-36ETTSB4201- ZIMBER TOOLS. TIMING TOOL KIT-BMW M52, M54, M56, ZR-36ETTSB40 - ZIMBER TOOLS. BMW(N51/N52) Bearing Strip Fixture Tool Set , ZR-36ETTSB58 - ZIMBER TOOLS. BMW N62, N73 Camshaft Timing Tool Kit, ZR-36ETTSB38 - ZIMBER TOOLS. Engine Timing Tool for BMW M47 / M57 - ZK-292. Engine Camshaft Timing Tool Kit For BMW N63/S63/N74 V8 X6 550i 750i -ZR-36ETTSB74 - ZIMBER TOOLS. Petrol Engine Twin Vanos Service Kit BMW M52TU, M54, M56 - ZR-36ETTSB44 - ZIMBER TOOLS. Engine Alignment Camshaft Crankshaft Timing Master Tool Kit For BMW N62/N73, ZT-04A2278- SMANN TOOLS. BMW MINI Cooper N12 / CITROEN - PEUGEOT EP6 Engine Timing Tool Set - ZR-36ETTSB52 - ZIMBER TOOLS. 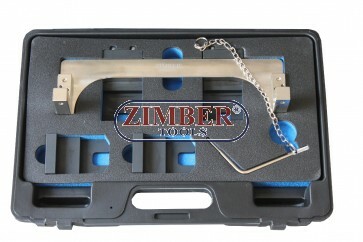 Camshaft Alignment Tool Set for BMW (M60,M62, M62TU ) V8 - ZR-36ETTSB77 - ZIMBER TOOLS.